Toyota Car Insurance, Compare Toyota Insurance Quotes & Save! 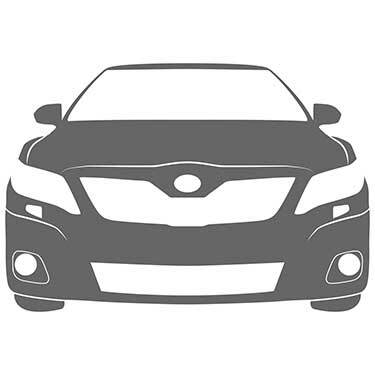 Compare Toyota Auto Insurance Quotes and Save! Looking for cheap Toyota car insurance quotes? You’ve come to the right place. Toyota is one of the most trusted car brands in Canada. With a record year of vehicle sales in 2018 in Canada, there have never been more drivers looking for Toyota car insurance coverage. Toyota drivers want cheap Toyota auto insurance rates and the best coverage. ThinkInsure can help save and you get insurance coverage for your Toyota. We'll compare Toyota car insurance quotes from the leading insurance companies in Canada. Get quotes for all Toyota makes and models. Simply call us toll free 1-855-550-5515 to compare quotes and save. Founded by Kiichiro Toyoda in 1937 in Japan, Toyota is one of the world’s largest companies. It is 6th biggest in terms of revenue on the work, and the top in revenue generation in the automotive industry. It is the second largest auto manufacturer worldwide. The company gets its name from the city they operate out of, Toyota City, Japan. The company has regularly produced more than 10 million vehicles annually since 2012 and is the world leader in hybrid vehicle sales. Perhaps best known for the Corolla and Camry, the company also offers a line of luxury vehicles through its Lexus brand. Toyota Canada was founded in 1964. To date, the company has sold more than 4 million vehicles in Canada, with 2018 being its best year for sales in the company’s history. The company sold 231,646 vehicles, a 3.2% annually sales growth. 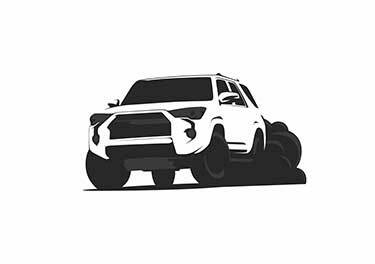 Overall, the company has the best sales year yet for many of the models including Prius, Tacoma, Tundra, RAV4, and the Lexus NX. The Corolla remains the company’s most popular vehicle because of its reliability, good resale value and overall performance. Toyota offers a full selection of vehicles that are suited for the average driver – sedans, minivans, crossovers, SUVs, pickups, Hybrids. The Toyota Corolla is one of the most popular vehicles ever build. It has sold more than 40 million units worldwide and more than 1.3 million units have been sold in Canada. The vehicle is affordable, has a strong safety rating, its fuel efficient, and it’s cheaper on insurance than most vehicles, making it popular with the average driver. Need Toyota Corolla insurance? Contact our insurance experts today for a hassle free quote. The Toyota RAV4 continues to increase in popularity among drivers in Canada. The crossover SUV offers features that car and SUV lovers are looking for – strong performance, good fuel efficiency, a sporty design, and more space than the average car. With a strong safety rating, the RAV4 is considered one of the more affordable SUVs for insurance. Need Toyota RAV4 insurance? Our insurance experts will help you get the best quotes and save. Toyota Prius sales are on the rise and it continues to be the most popular and top selling Hybrid vehicle. Its affordable, has great fuel economy and a strong safety rating. Plus, it’s available in 5 different models, ensuring there is a Prius for everyone. Prius C is regarded as one of the cheapest cars to insure. Get a Toyota Prius car insurance quote today. The Camry is a popular vehicle among drivers in Canada. It’s a larger Sedan that offers a spacious and sleek design, is available in 9 models, including a Hybrid model, offers strong fuel economy, and is easy to drive. The Camry is also regarded as one of the cheapest used cars to insure because of its reliability and affordable repair costs. Need a Toyota Camry insurance quote? Contact us to compare rates and coverage options. Toyota car insurance rates are considered to be more affordable than many other brands. The Camry is one of the best selling cars and is regarded as the third cheapest car to insurance in its class. Lower repair costs and vehicle pricing contribute to cheaper car insurance rates. A number of Toyota models are on the considered to be the cheapest to insure. Overall the Toyota Prius C Hybrid and Tundra Reg Cab Automatic are some of the best vehicles for insurance rates. The RAV4 is known for low insurance rates among SUVs, and the Tundra and Tacoma have some of the best rates for pickups. The used Camry and Avalon are regarded as two of the best used cars for insurance. Once you already have a Toyota, you’ll need to renew your Toyota car insurance policy annually. Rather than just allow your policy to renew, it’s important to compare quotes as part of the insurance renewal process. Our Toyota insurance services can help you with all your coverage needs. 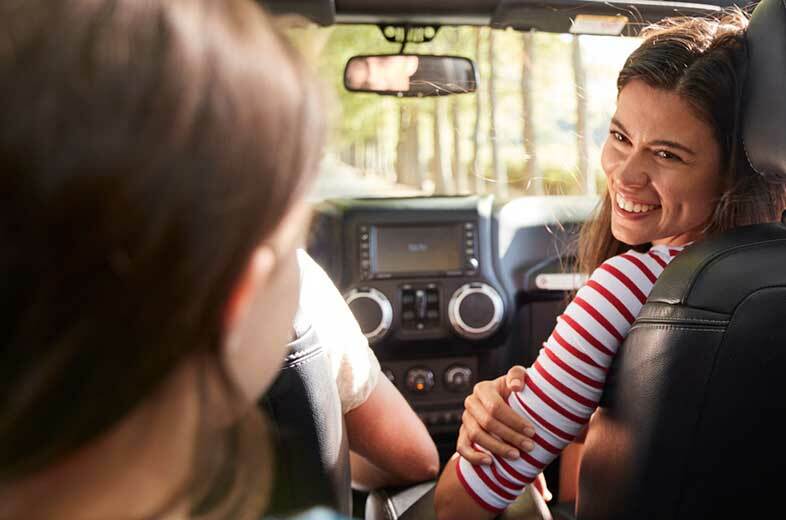 We can help you explore your Toyota Insurance coverage options and see if there are ways to lower your insurance costs each year. Contact us if your car insurance is coming up for renewal. How Much Does Toyota Car Insurance Cost? The cost insurance a Toyota vehicle largely depends on the make, model, and driver. The average Toyota car insurance costs can range from as low as $1100 for some models and up to $1800 or more annually for drivers with a clean driving record. You also have to factor in your location, drivers on the policy, coverage limits, deductible, and many other factors when determining car insurance costs for Toyotas. Comparing insurance quotes is the most effective way to understand how much it will cost YOU to get Toyota car insurance coverage. Which Toyota Model is Cheapest to Insure? There are a number of Toyota makes and models that regularly make the list of cheap cars to insure. In terms of Toyota vehicles specifically, the Tundra, Tacoma, Sienna, RAV4, Avalon and Prius and the cheapest to insure. How Do I Get Cheap Toyota Car Insurance? All Toyota drivers want to get the lowest auto insurance rates possible. At ThinkInsure, we get that. We know you want the best value and the best rates. So, how do you get cheap Toyota car insurance? Choose the right toyota model: The make and model of vehicle you drive will always affect your insurance rates. For example, rather than choosing Lexus, opt for a Hybrid. Choose a Toyota model that is known for a better safety rating, and has traditionally cheaper car insurance rates. Drive safe: With insurance rates on the rise, keeping a clean driving record has never been more important. Avoid claims, accidents, tickets, and stay focused on driving safe at all times. Compare quotes annually: Drivers need to continually compare insurance quotes to ensure they are getting the best rates. Compare annually to keep saving. Use a broker: Getting the best Toyota insurance rates is dependent on how insurers assess risk factors for the brand. Our insurance experts can help you compare quotes from the top insurance companies, ensuring you get the lowest Toyota auto insurance rates. Make and model : Toyota car insurance rates vary based on model. The model, make, and features you choose will affect your rates. New vs used : Used Toyotas, especially the Camry, are more affordable to insure. Collisions claims rate : The frequency of accidents by a specific Toyota model is used by insurers to determine rates. The Highlander is known for a higher than average collision claims rate. Theft : Theft negatively affects the insurance costs of Toyotas. The Camry and Corolla, two of the most popular vehicles, are also two of the most commonly stolen. Retail and repair costs : Toyota vehicles are known for having a relatively low MSRP and affordable repair costs on almost all models. Bundle Coverage : Combine all vehicles and home insurance under a single policy to qualify for insurance savings. Toyota Insurance Calculator : Use an insurance calculator to compare and calculate your rates. A calculator allows you to understand how certain factors affect your rates. Adjust coverage limits : Depending on your vehicle type, age, value, you may or may not need certain coverage, such as comprehensive coverage. Asses your coverage needs and adjust your policy accordingly. Look for discounts : Ask your insurance professional about discounts may be available to you. 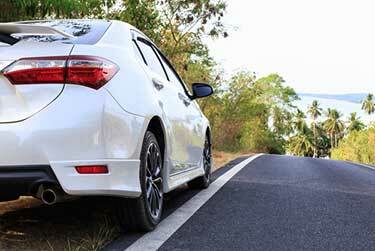 Do I Need Toyota Lease Gap Insurance? Choosing Toyota lease gap insurance is a personal decision. It depends on your financial situation and risk tolerance. Assess all your insurance needs when choosing to lease a Toyota vehicle. Can ThinkInsure Help With A Toyota Insurance Claim? Yes. Our insurance professionals can help you with your Toyota car insurance claim. If you are involved in an accident or are considering filing a claim, please contact us. We’re happy to provide you with expert advice and consultation. What Are The Toyota Lease Insurance Coverage Requirements? You will need to meet all Toyota lease minimum insurance requirements in order to complete your leasing and financing paperwork. You will need proof of insurance. Coverage requirements can vary based on dealer requirements. Do I Need Toyota Comprehensive Car Insurance Coverage? It depends on your vehicle type, model, and age. Comprehensive coverage provides you with more protection against non-accident claims such as theft and weather damage. How Much Does Insurance Cost For A Toyota Yaris? Insurance costs for the Toyota Yaris fall in line with the average insurance costs in Ontario. You can expect to pay between $1000 and $1800 annually for Toyota Yaris insurance. Compare quotes to get an accurate rate. How Much Does Toyota Matrix Insurance Cost? Auto insurance costs for the Toyota Matrix tend to be more affordable because they are used models. The Matrix is no longer in production. You can expect to pay about the same as insurance costs for the Corolla. Rates can range from $1000 to $1500 or more annually. Compare quotes to get an accurate rate. How Much Does Toyota Highlander Insurance Cost? The Highlander is one of the more expensive Toyota models to insurance. The average annual cost will depend on the model you drive, your driving record and many other factors. Compare quotes to assess your insurance cost options. Drive a Toyota? Want to compare Toyota insurance rates and get cheaper rates? Contact ThinkInsure today to get a free insurance quote for all Toyota models. Find the lowest rates and save money on your auto insurance policy. Call 1-855-550-5515 today!